You will enjoy the beauty of your birdbath or fountain with confidence, knowing that our feathered friends are enjoying it too. And safely! 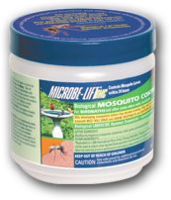 All of MICROBE-LIFT’s birdbath & fountain cleaning products are all-natural and earth friendly, so you do not need to worry about harming animals or the environment.